With Taiwan’s compact size and its modern transport and communication infrastructure, one can easily visit a tea grower anywhere on the island in less than a day’s journey by car, rail, plane or bus. Sophie Lin, operator of the Wisteria Teahouse in Taipei organized a press tour in July 2016 to introduce three of her tea suppliers in northern Taiwan. Each is, in her words, a “traditional tea master” – small-holders growing and processing their own tea. Taiwan’s capital, Taipei, is surrounded by a new “super-city” created in 2010 to incorporate all of the old city’s former suburbs; it is known, confusingly, in English as “New Taipei City.” The giant county now includes many of the traditional tea-growing areas of the north, including Shihding and Pinglin, the two districts we are visiting. Ten kilometers beyond the suburbs, urban intensity gives way to rolling, lush, semi-tropical jungle. In spite of Taiwan’s reputation for big cities and high-tech industries, it’s actually a very green and beautiful country once you get out into it. Taipei has more green space per person than many of the world’s largest and richest cities. We meet tea grower, Ding Shi Gao, in Shihding – about 90 minutes outside of Taipei. 80% out of a population of 7,000 people are involved in the tea trade, many for generations. For visitors to Nuwara Eliya or Darjeeling, Gao’s garden might be a letdown. The bushes are not planted in neat rows; they are not pruned and nicely shaped. Weeds grow, as they will. It’s not postcard perfect. However, the beauty, according to Gao, is that the tea is naturally grown. It’s never treated with fertilizers or pesticides. This is an old, wild tea garden and his family’s legacy. Ding Shi Gao surveys wild tea. Gao admits he may be the last family member to carry the mantle. His ancestors came from Fujian province of China 300 years ago, pioneer planters. Yet like so many Taiwan tea growers of his generation, Gao’s children are not interested in following him. “The work is just too hard. They are attracted to the city, with its office jobs and easy life,” he says with an understanding smile. We travel from this jungle garden to Gao’s home. In his tearoom – a minimalist, open and light-filled space – we sit on black pillows on tatami mats. The tearoom is directly above the tea factory and family living quarters. Sliding glass panels let on to a deck with a mountain panorama and a garden full of pine trees. Directly below, tea leaves in huge bamboo trays soak up the early afternoon sun. Faint Chinese flute music joins cricket-like chirping coming from the garden. Gao prepares a Bai Hao wulong from the (D)Ching Shuan (TTES#12) cultivar. It was plucked from one of the 12 tiny, wild tea gardens that make up his 2-hectare holding. The large Yixing teapot he presents he has used for 12 years. He steeps this tea five times over a period of maybe 90 minutes. He takes time. The first rendition of this elegantly made tea is fresh and slightly greenish, with mouthfeel, but nothing to declare. The second produces rich spicy notes, dominated by cinnamon toast, autumn leaves and lightly roasted nuts. There’s a surprise on the third steep: pine needles, not crushed underfoot, but an ethereal, evaporating pine essence. At the end of the tasting, one understands what Gao calls a “dialog with tea,” the giving and taking at the heart of the tea ritual. In a final gesture, he fills each of our cups with the combined leftovers of each of the separate steepings. You could say the dregs, but that would be unfair. This post-tasting round summed up what each separate round was expressing. It was the tea legacy. Bai Hao is the signature tea of Taiwan, made nowhere else. This wulong is produced from the immature leaf bud and the newest two leaves, plucked when the garden is under attack by Jacobiasca formosana, the tiny green leaf hopper, a tea plant pest. Tea plants attacked by this insect produce a volatile organic compound (VOC) to ward off attack. Carbon, chlorine, bromine, fluorine, oxygen and other chemicals which, when oxidized, gives Bai Hao its unique, complex aroma and flavor profile. We’ve never seen one of these insects in action. Mr. Yu-San He is a fifth generation grower. His family moved to Taiwan from Fujian during the last third of the Qing Dynasty. His production includes Bao Zhong, black tea and also Bai Hao wulong – and he’s more than happy to take us to a tea garden under attack by the small green leaf hopper. A narrow single-lane country road leads to a tea garden festooned with umbrellas to protect tea pluckers from an approaching storm. It takes Mr. He only five minutes to spot a leaf hopper and motions us over, but before a picture could be snagged, it hops away. One didn’t need a portrait of the insect, however, to see proof of the infestation. There were scars on tea buds where the insect fed on plant fluids and there were millions of spider webs slung across rows of bushes, evidence that they had found a garden full of their prey. One could not walk between rows of bushes without attracting broken web fibers and the mummified insect bodies adhering to them. One recalls Gao, the first tea master we met who emphasized the benefits to the environment of organic farming methods. To permit the leaf hopper, spiders and other beneficial biota to thrive, the garden must be cared for with this intent. 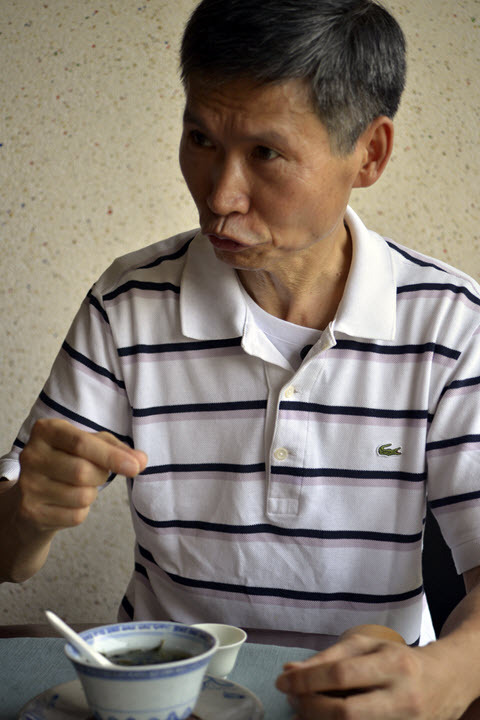 We met our next tea master, Cheng Tien Fu, a young 62, at his warehouse in Pinglin town. Mr. Fu’s forte is Bao Zhong, one of Taiwan’s most pleasing teas, typically fresh and floral. Fu is an old-style tea master who exudes confidence and caps it off with a winning smile. The Bao Zhong he selected for our tasting has brilliant, green, semi-twisted leaves reminiscent of a fine Japanese Sencha. The liquor is a stunning bluish-green, almost impressionistic the way it reflects the soft northern light. The infused leaves are a uniform forest green. The fragrance, which Fu emphasized would account for 60% of the score in a competition, is floral, complex and volatile, like perfume. Fu comments on the government-sponsored tea competitions common to Taiwan. He says they can lead to too much competitiveness, but the benefits outweigh the disadvantages. 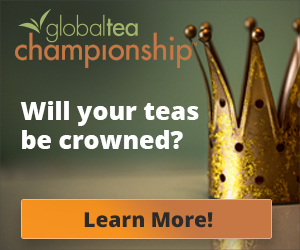 Regional tea competitions reward growers and producers for excellence, create stable production benchmarks and raises overall quality standards. They can also serve as a price-setting mechanism. Fu uses a traditional blue and white gaiwan, arguably China’s simplest and most efficient means of preparing and serving tea. The Chinese ceramic spoon that goes with the gaiwan is ideal for manipulating the steeping leaves, for assessing liquor color, aroma and flavor. Everywhere we visited, there was a clear emphasis on the olfactory aspect of wulong tea. Tasters in Taiwan concentrate on the aroma expressed by the leaf, the liquor, the empty tea vessel or the back of the spoon. The tea masters often took their tea cool, as well. 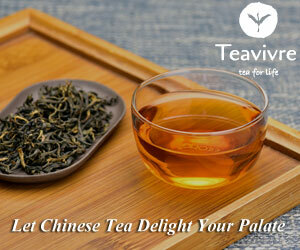 Wulong tea has aromatic qualities as it cools down. This takes the rush out of tasting and gives one time to explore the bottom of the cup. Taiwan enjoys a pervasive tea-drinking habit. It is in the DNA, part of Chinese culture that flowed across the Taiwan Strait. Three groups jockeyed for control of space and resources during the colonization of Taiwan: the Dutch (European colonists) who built settlements in the south (Zeelandia); the Spanish in the north (Fort San Salvador); and the 16 native tribes who occupied agricultural lands in the lowlands and foothills for millennia. The aboriginal groups were forcibly driven from the lowlands into the mountains; some were absorbed into the dominant culture through the process of intermarriage. The Chinese were skilled farmers carrying high-quality seeds and in Taiwan. Formosa (as Taiwan was known) had conditions favorable to tea growing: a central core of mountainous terrain covered with a thick layer of rich volcanic soil. It is amply supplied with moisture in the form of heavy seasonal monsoons, typhoons and dense rolling mists. The island experiences moderate-to-very warm temperatures, with long summers and short winters that lack plant-killing frosts. 40% of the island’s territory is covered in tropical and semi-tropical forests, with a plethora of microclimates suitable for producing a variety of teas. By the early 19th Century, tea had become Taiwan’s number one export. Most of the tea was shipped back to Amoy (Xiamen), Fujian Province on the Chinese mainland. A British citizen, John Dodd, opened a tea exporting business in Wanhua, Taipei in 1866. Dodd promoted what would become the “Formosa Wulong brand” in a variety of Western markets. He helped make Formosa wulong a household name in the West, including the United States, though it’s unlikely those wulong fans could have located the island on a map. Japan’s occupation of Taiwan in 1895 at the conclusion of the Sino-Japanese War caused a seismic shift in the tea trade. During their 50-year occupation they nationalized and consolidated the tea industry. Green and black teas were added to the list of Taiwan specialties. The Japanese founded the Tea Manufacture Experiment Station during the first few years of the new century to apply scientific principles to tea growing and manufacture in Taiwan. During World War II, Western markets switched their tea-buying to colonies in South Asia and Africa, as East Asian trade was cut off by hostilities and embargoes. After the war, Japan retroceded Taiwan to the Republic of China. 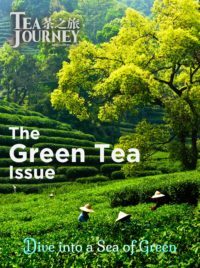 Taiwan tea manufacturers found they could not complete with the fast-developing, mechanized black tea centers, and so reverted to traditional wulong tea. The successor organization to Japan’s Tea Manufacture Experiment Station is the Taiwan Tea Research and Extension Service (TRES). Their emphasis is on the development of new, science-based approaches. At TRES headquarters in Yangmei, Taoyuan District, we met Dr. Chui-Feng Chiu, Senior Agronomist and Secretary, and Dr. Justin Lai, Tea Scientist, Industry Service Section. In spite of the support of science and substantial infrastructure development in Taiwan, tea production has trended downward over the last several decades. Production stands at 14,136 metric tons today, while Nepal, by comparison, produces about 23,000 metric tons. There isn’t much more suitable agricultural land to be taken for tea, nor is there a surplus of labor to tap into. Although much-needed, environmental protection laws – applying particularly to mountainous regions – have forced the closure of some high elevation tea gardens and made it difficult for existing ones to expand. 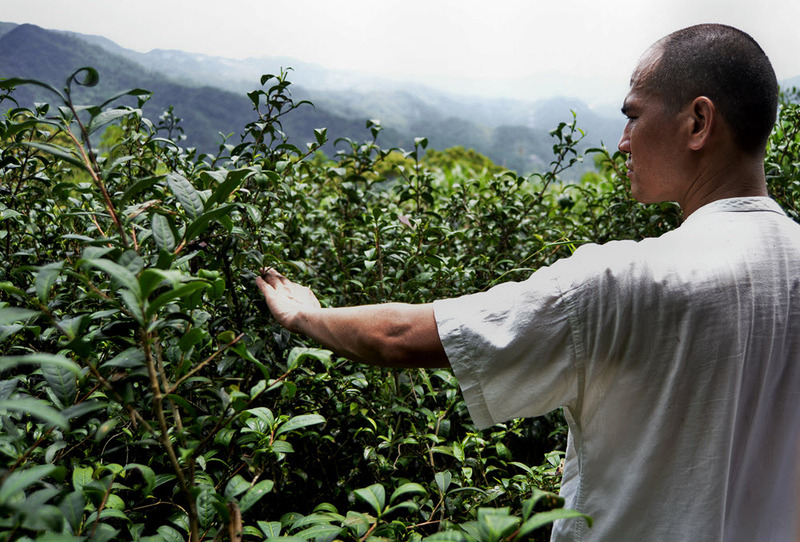 The majority of Taiwan’s tea farmers are small-holders owning or leasing 1-2 hectares of land. Large corporate tea plantations are discouraged on social and financial grounds. With growing internal demand for Taiwan wulongs, one must conclude that there is a serious tea gap. Dr. Chiu explained that Taiwan’s tea deficit must be made up by tea imports from other Asian producers. That is, excluding China whose tea, under Taiwan law, cannot be brought into Taiwan.